July 1945. The Allies are posturing amongst the ruins of Berlin and marking out their territory for what will be the boundaries of the Cold War. And no German admits to being a Nazi, especially those whose skills can be sold to one side or the other. Jake Geismar cut his teeth as a foreign correspondent in pre-war Berlin. When he returns in 1945 to cover the Potsdam conference he finds the city unrecognisable - streets have vanished beneath the rubble, familiar landmarks truncated by high explosive. But amongst the ruins Berliners survive, including some he knew and, miraculously, his lost love, Lena. But in the way she would not leave with him before the war, Lena won't join him now without finding her husband and Emil has disappeared from the safe care of the Americans who, turning a blind eye to his links with Hitler, want his expertise as a rocket designer for themselves. Trawling through the shambles of the city, through the illegal night clubs and the thriving black market, Jake discovers that the twilight war of intrigue between west and east has already begun and that he could quite easily be one of its first casualties. This is a novel of war, an action thriller, a tale of raw emotion and survival. Above all it is a tour de force of the triumph of humanity over man's depravity. 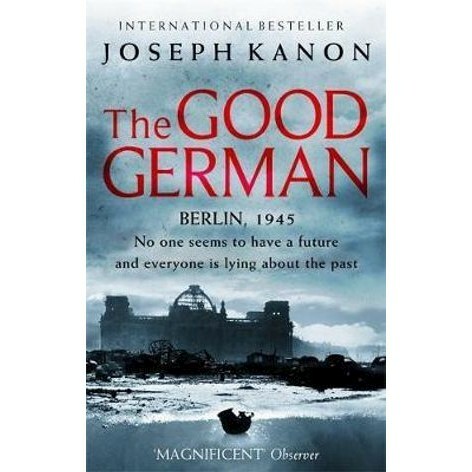 Joseph Kanon is the author of Los Alamos (winner of the Edgar Award), The Prodigal Spy and The Good German. Before becoming a full-time writer, he was a publishing executive. He lives in New York City.